We are still getting emails from individuals who are literally “on the fence” about starting a home business. We totally understand “nervous” and “scared” and “uncertain” about whether to stick your neck out and “just do it” — we’ve been in the same boat before. With that said, we want to say, without a doubt, that NOW is the time to go ahead and get your home business started. We are not saying that by starting a home business you’ll be wealthy within six months or a year, but it will most likely improve your financial situation so that you can pat yourself on the back and be glad you did it. ** Think about the money you can save in gas alone – not having to drive to and from work each day. ** Lunches can be left overs from last night, rather than going out for hamburgers or pizza with the others from the office. ** You may be able to cut out day care expenses after you “get in the groove” about setting working hours in your home business. ** The tax benefits from working at home are a definite plus — not dollars you can see daily, but at the end of the year you’ll realize the benefit. But you’re still asking —- what can I do as a home business? Well, think about what your interests are — do you enjoy doing crafts? Are you a quilter? 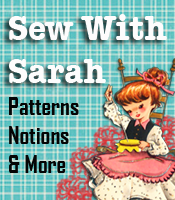 Are you a whiz at sewing? Most anybody that owns a sewing machine can jump right into the alteration business – get a few business cards out and post a flyer at the local fabric shop, and see how quickly you have customers calling. If you’ve been sewing for any length of time you could start your own little niche by sewing for plus size children. Statistics indicate that the numbers of overweight and obese children are growing, so you would have an immediate market for your sewing. With all the layoffs and cutbacks at the workplace, there is no better time than right now to just jump in and get a home business started. You will be saving money (see the benefits listed above) and MAKING money, therefore your financial situation really will improve. Give it a try and let us know what you’re doing and how you’re benefiting from working at home.